Miami-based Pollo Tropical announced earlier today it has closed its East Cobb location as part of parent company's Fiesta Restaurant Group's "strategic review process." The restaurant, along with nine others in the chain, closed yesterday. Amazingly, the East Cobb location, in a newly built outparcel of Parkaire Landing shopping center, had barely been open a year, having celebrated its grand opened in September. The restaurant's East Cobb location received a total of 34 Yelp reviews and had a cumulative rating of 2.5 stars. Another location that closed, on Charlotte Pike in Nashville, opened last July. In addition to the Atlanta and Nashville closures, eight other locations closed in Texas, headquarters of both parent company Fiesta and sibling concept, Taco Cabana. Fiesta indicated they will re-brand up to three of the restaurants in Texas as Taco Cabana restaurants. Nearly all employees impacted by closures will be offered positions at nearby restaurants. A large percentage of Pollo Tropical's nearly 200 restaurants are in their home state of Florida and the decision to close / re-brand multiple units in Texas is seen by industry observers to indicate Fiesta is reconsidering their Texas expansion. 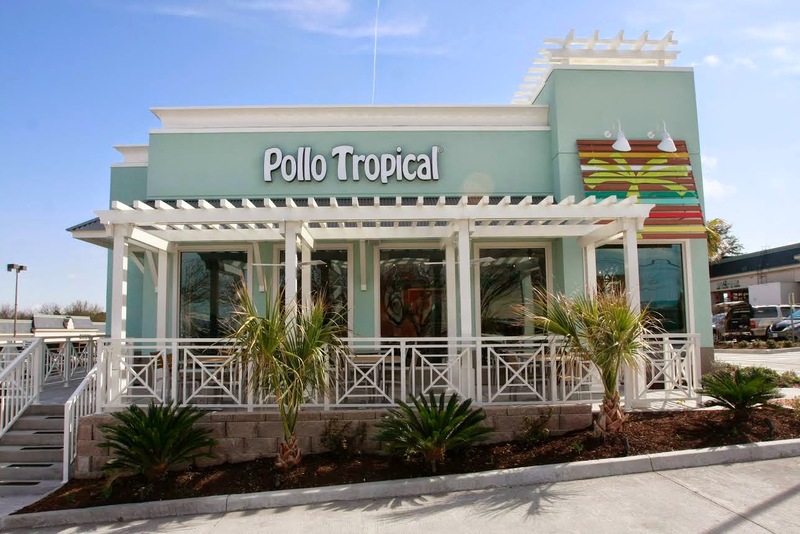 “We remain optimistic about the future growth opportunities for both our Pollo Tropical and Taco Cabana brands and believe that the steps we are taking now provide opportunity for success in 2017 and beyond.” Interim Fiesta President and Chief Executive Officer Danny Meisenheimer said. Danny Meisenheimer joined Pollo Tropical in early 2012 as the company's Chief Brand Officer and was promoted to Interim Chief Operating Officer, succeeding Jim Tunnessen, following his retirement from the company as COO in January 2013. Meisenheimer was named Interim Fiesta President and Chief Executive Officer of Fiesta in August following then CEO Tim Taft's abrupt retirement. Among the things being reexamined since Taft's departure is the earlier announced plan to split the Pollo Tropical and Taco Cabana brands. Fiesta Restaurant Group, Inc. (NASDAQ:FRGI) previously re-branded its test concept Cabana Grill, located on Scenic Highway in Snellville, as a Pollo Tropical. As I've previously reported, Pollo Tropical is currently on its second incursion into metro Atlanta having had three franchised units in metro Atlanta in the mid-late 90s. Pollo Tropical marked their return to metro Atlanta in August of 2011 with a location on Duluth Highway in Lawrenceville. Since then, the chain has steadily built out its metro Atlanta operations that now include a total of sixteen locations as far as Newnan, McDonough and Gainesville, and most recently, Tucker. Following the East Cobb closure, the chain still operates four units in Cobb county: Akers Mill, Marietta, Kennesaw and Austell. There are reportedly no new locations currently planned for metro Atlanta in 2017. Did you frequent the East Cobb location of Pollo Tropical? Are your surprised the East Cobb location closed? What would you like to see open in place of Pollo Tropical in East Cobb? Expensive, bland food. Employees and clientele appearance that of a 3rd World country. Another chain that should not have expanded out of its hot spot. I respectfully disagree with Anon @ 7:19AM. I like their Tropichop bowls. A small one (which is plenty of food) is $4.99 (or $5.99 with a soda). It's essentially like a burrito bowl at Chipotle/Moes, but with Pollo Tropical's food. You add salsa or another sauce from the sauce bar which adds flavor. The Akers Mill location is quite busy at both lunch and dinner from what I've seen. They bring the food to you and don't ask for tips on the receipt like Chipotle/Moe's does. I could get almost 2 meals here for the price of 1 there. And I'm not comparing Chipotle's perceived quality food (food which has a greater reputation of getting people sick than Pollo Tropical's food) to Pollo Tropical's food. I'm just talking about the food in general. As for "employees and clientele that of a 3rd World country), I don't respectfully disagree - I just flat out disagree. I'm not sure why hiring employees or dining in the same restaurant as someone from Southeast Asia, Central America, or Africa matters. If you only want to eat with people who are like you, you probably shouldn't go out to restaurants. I mean, I'm pretty sure I've seen foreign people working at every fast food restaurant (including Chick-Fil-A) and every fine dining restaurant. I have only been to the Akers Mill location but my experience was good each of the few times I visited. Food quality and service were both fine. For what it's worth I have only eaten at Chiptole once. I felt like I received a month long supply of sodium in one sitting. I was so turned off I never returned. And Moes is just gross to me. Willy's is the better burrito spot in my opinion. The ones in South Florida have drive through lines 20 cars deep at all times. But here they never do well. It's mind-boggling. I'm surprised it lasted that long. I never saw anyone come or go. Doesn't surprise me. I never ate at the East Cobb one. Wasn't convenient in and out of that location. I figure it didn't have enough lunch traffic there. The one in Akers Mill is usually pretty packed out for lunch and I've driven home over lunch and seen very few cars at the Parkaire location. The service at this location was consistently dreadful and they were often out of menu items. I walked out one time and the manager chased me out of the building with a coupon for 25% off my next meal. He could barely speak English through his thick African accent and was clearly exasperated. This is what happens when you hire nothing but unfriendly, black employees in the middle of East Cobb. I found the chicken to be mostly bone. It was cheaper for me to go to Kroger and buy a rotisserie chicken. So, I went a few times to try other offerings, but nothing really appealed to me at the prices offered. Many, many years ago (late 70s early 80s), in the same location as Pollo Tropical, was a Long John Silver. I would like to see a fast food fish establishment back at that location. Since Mrs. Winners closed, we need a fried chicken place as well. If you are buying your rotisserie anywhere but Costco you are paying too much for a too small chicken! AJ's manifesto is once again out of touch with reality. They probably could have done well if they opened up in neighborhoods where their employees and customers actually reside. The other Atlanta locations will likely close soon as well. We need a Burger King. Please! ... Other options - Martin's, BBQ with a drive thru,Korean fried chicken - Bonchon, mini burgers - Burgerim, Jack in the Box, Italian with drive thru - Fazoli's ... Something different please. I know BK is common but no BK's around here in East Cobb. I actually went through their drive through one time in east Cobb, mind you, I enjoy their food, and ordered a "whole chicken" which is 8pc to them. They said, and I quote "sorry, we're out of chicken". OUT OF CHICKEN!?! This place closed due to mismanagement, clearly. We neeeeeed a White Castle. If a Bojangles went in there it would make approx $1b. a day. No surprise they didn't make it. Mediocre food, indifferent service, meager portions all at a bad price. Hopefully, their successors will offer something unique. Well, there was a BK, it was where Tijuana Joe's is now. Also, there was a KFC, where Moe's is now. As someone pointed out, there was a Long John Silvers in the vicinity of Pollo Tropical. And, not too long ago, there was a Boston Market where the FexEx location is (by Publix). So you see, fast food doesn't do very well along that corridor. No ... I believe the Boston Market turned into Mama Fu's then it became The flying biscuit and now it's a lame bank. I can't say for sure that the Boston Market became a FedEx but I do know with 100% certainty that the Mama Fu's was built as a Donatos Pizza. It later became Mama Fu's then Flying Biscuit then demo'd for the bank. Worst service ever.. They never got the orders correct. Took forever to fill an order..inconsistent food quality. I agree, East Cobb needs a Fried Chicken restaurant.. KFC or even better would be a Popeye's chicken. or a long john silvers. BK didn't do well and we had a Krystal's that also closed within a year. Great ideas everyone. I like the family style Italian restaurant idea very much! Or Bring in a Dairy Queen...or bring Boston Market back. It's been years so BM may do better this time. I also think a Piccadilly would work. I like Piccadilly and I'm not of "mature" age. My last idea would be opening an upscale cigar lounge/bar (calm down healthy phanatics)... it may work. Whatever they decide hurry up and lease this space soon! Loyal Q & Brew just opened and it's doing great! And please tear down that poor bank. At one time, Mc Donalds tried to branch out and bought out Boston Market, Flying Bisquit, Mama Fu's and another couple brands. It didn't work out.